For event-related questions or information contact your Tour event manager or visit the Local Event FAQ page. Do you ride well with others? Why not form or join a team today? Tweet, post, get the word out about your Tour de Cure fundraising page! Do you have cash, checks or matching gifts? Are you ready to fundraise, ? Here are your Tour tasks! Riders who start their fundraising with a self-donation raise 2x more than those who don't! Kick your fundraising into high gear and make your personal donation today! Why do you ride? Your Personal Page is the place to tell your story-make it look and feel like you! Create a winning page by adding an inspiring photo, story or video. WHO DOESN'T LOVE AN EMAIL? On average, one in five fundraising emails will result in a donation. Use our pre-written templates to make sending emails even easier! The Tour de Cure Facebook App has been completely redesigned and offers new and exciting features for 2014. The app makes it easier than ever to reach your fundraising minimum and beyond. You've got to check it out! With our newest mobile application, you can send emails, check your fundraising progress, see a real-time donor list, update your personal page, and share your progress with your social media networks while on the go! Getting Up to Speed! Tour Updates for YOU! Ask your family & friends to support you today! Sending emails to your family, friends and co-workers can be an easy way to raise money for the American Diabetes Association and the Tour de Cure. Did you know the average online donation is higher than offline gifts? It's important to share your story about why you want to stop diabetes and why you ride in the Tour de Cure and once you do, you'll see that fundraising can be really fun! Join the millions in the movement to Stop Diabetes®: make a donation to yourself, then send a request today. The Team Captain Training Module is an easy way for you to learn everything you need to know to be successful. The module is an online webinar that takes only a few minutes to view—you can stop and return to any section as needed. Click the link below to get tips and tools for a great Team Captain experience! Email badges are a great way to show your support in the fight to stop diabetes each and every day! Simply download the badges here and then use them in your email signature to help spread the word about this deadly disease. Everyone who gets an email from you could be a future team member or someone that might be interested in donating on your behalf. You never know who has been affected by diabetes. If you are unsure how to modify your email signature download the instructions for several popular email programs. It's time to take social media by storm with the Tour de Cure boundless fundraising app for facebook! Simply click here and follow a few simple steps to adding the app to your facebook account. Once the app is installed simply share the link on your newsfeed and your friends are one click away from donating on your behalf safely and securely! Do your fundraising on the go with your Tour de Cure application for iPhone and Android. Keep current on Tour news, update your page, send emails, and check your progress - all from the palm of your hand! Does your employerhave a Matching Gifts program? 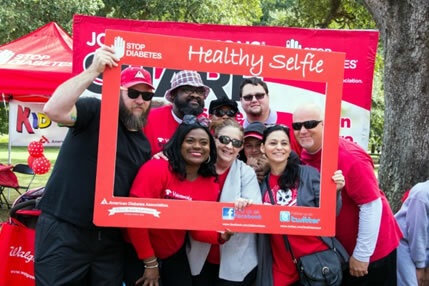 Many companies want to give back to organizations like the American Diabetes Association and be a good corporate steward in the community. The most common way they do that is through MATCHING GIFTS. Check with your employer to see if they have a matching gifts plan in place and your donations could easily double or triple! Every company might have a different process for how you get those additional matching gifts, but it&'s worth taking the time to find out. Let us help you through the process! Refer to the Tour de Cure Cyclist Guide as the perfect Training Resource! If you want to find some great training resources all in one place, the Tour de Cure Cyclist Guide is for you! This guide includes information about safe riding, group riding, stretching, hydration, nutrition, a sample training plan and information about the Tour de Cure, as well! Performance Bicycle® is excited to offer our Go The Distance training series to help casual cyclists prepare for a the Tour de Cure distance you choose whether it’s 30-, 50-, or 100-miles. Go The Distance provides instruction and expert training to give you the support your body and mind need, both on and off the bike, to help make that big goal less intimidating. Whether you're preparing for a big ride, or your next great one, we can help you get there. In just 10-weeks, we will have you ready to not just reach your goals, but to look beyond them for new challenges, and the excitement and rewards that cycling offers. Training includes: (1) one hour-long class on Tuesdays at 6pm and (1) Sunday ride session per week. Dates and times are subject to change. To get started, all you need is a bicycle and helmet. Visit your local Performance Bicycle store today for details. Talk to an associate to find out how you can participate. $120 for 10 weeks of training. Registration in-store. Red Riders are all Tour participants that have type 1 or type 2 diabetes and we want Red Riders to be proud that they are exercising and riding with diabetes! We are excited about our new training resources brought to you by the Tour de Cure training partner YOUglycemia. Gold's Gym, national sponsor of Tour de Cure, is a great place to go for expert fitness advice. Check out their training plans and get information from their personal cycling coaches and from their renowned fitness experts! We are pleased to welcome back Chris Carmichael as the honorary chair of the Tour de Cure! Chris has devoted more than 20 years to helping amateur and professional athletes achieve their performance goals, from improved health to completing your first Century, all the way up to Ironman and Tour de France victories. Now Chris wants to help our Tour riders be the best they can be! You’ve heard it before, riders need to drink, drink, and drink! Fluids are crucial to your performance and sense of well-being, but it is amazing how few cyclists heed this advice. You might forget to drink because of the excitement of the ride and become dehydrated which is a common problem among cyclists, especially in warm weather. To prevent this you must always drink plenty of fluids while you ride and also prepare in advance. Check out even more of our hydration secrets. Getting your muscles ready to ride! Stretching is extremely important in keeping your muscles flexible and injury free, but there are a lot of things people do wrong when stretching. We’ve got some helpful hints for you such as warming up first, stretching equally on both sides your body and much more! We can help you go the distance to Stop Diabetes! If you are looking to ride 30, 60 or 100 miles we have a great daily training schedule for you! These sample training programs are designed for someone who can already cycle 10 miles at a 10 mph pace without difficulty. It is only a guideline. If you cannot currently cycle 10 miles then start with 3 miles, build up over the next 2 weeks to a 10-mile ride, and then start the program. Please log in to access your TeamRaiser event's participant center. We noticed you're visiting on your iPhone. We noticed you're visiting on your Android device.